In this article we shall explore the fundamental influences that shape market sentiment on Crude Oil. What makes it tick? In order of importance we have: Risk Appetite (Geopolitical dynamics along with classic risk aversion), US Dollar dynamics, the Department of Energy Weekly Statistics, the API statistics, and the Baker Hughes rig-count. As the article unfolds, you will learn how to incorporate each piece of data into an actionable trading plan. The source of much of our modern day technology. So as traders, we need to pay attention to fluctuations in the price of Crude. 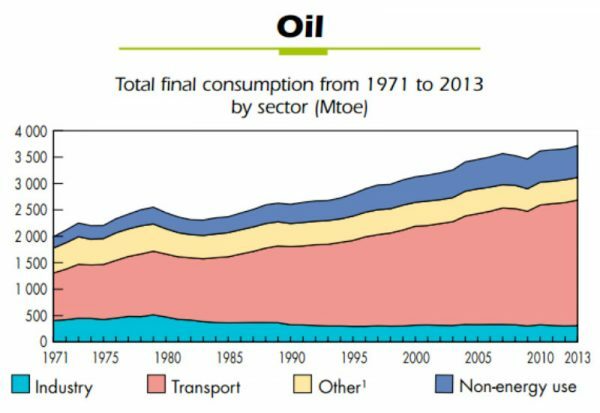 Oil trends, which drive the energy sector, are crucial for policymakers because of the effect Oil has on inflation and expected inflation. As forex traders, we know that Central Banks are the most important players on the field and their aim is to avoid deflation and control inflation. From this point of view, Oil trends become important because there is a strong correlation between expected inflation and the prices of Oil. 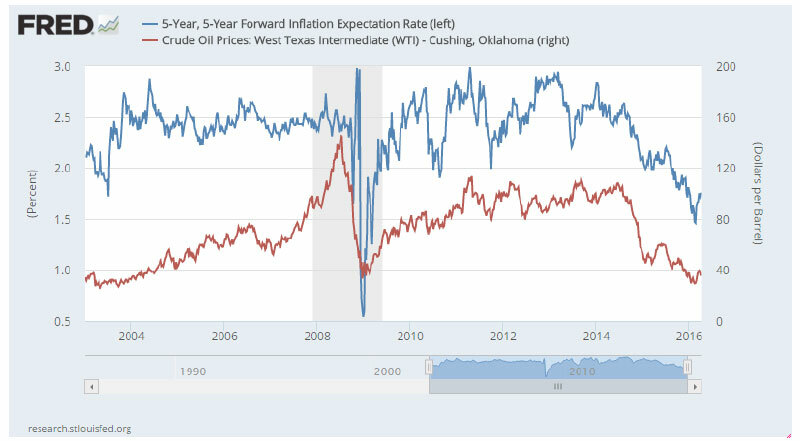 Inflation expectations vs. Crude Oil: visual representation of the importance of Crude from a monetary policy perspective. Oil is a major input in the economy (think of transportation, heating, plastic material above all else), and if input prices rise, so should the end prices we pay as consumers: companies pay more for the prime material, and they are reluctant to cut into their own profit margins. So they pass on this additional cost to the consumers. Since Central Bankers pay attention to Oil, traders need to as well. 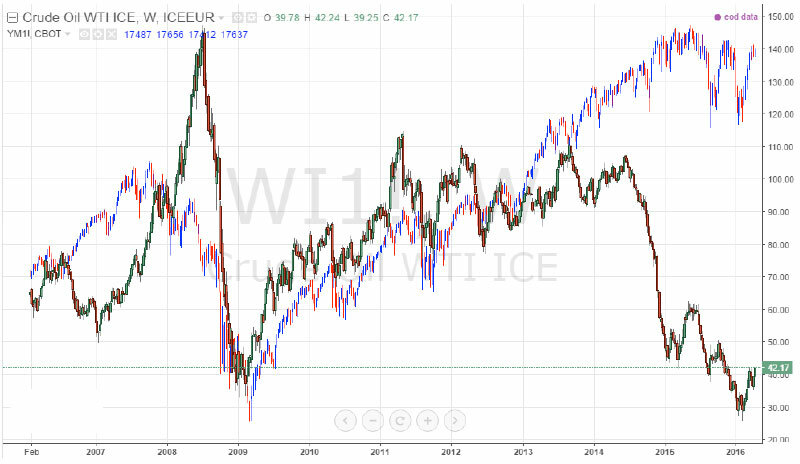 As the price of Crude falls, we can expect inflation expectations to fall as well. This reduces the need for rate increases by Central Banks, because inflation will be tamed by Oil. However, if Oil continues to fall and remain below the World Average Cost of Production (around 50 USD/bbl), then the threat of deflation starts to manifest itself. So now you might be asking yourself why the Oil producers (especially the OPEC cartel) can’t just cut production as soon as Crude drops below USD 50/bbl. At that point, does it not make more sense to produce and store the Oil, as opposed to selling it at a loss? Both are excellent points, which have been at the center of many recent debates, since 2015-2016 have been years when Crude has been well below $50 for extended periods of time. The main answer is that oil wells and refiners are truly massive operations. They cannot “turn the taps off” like we can do in our own houses. Shutting down Oil rigs is a long process – as is turning a huge tanker around at sea. So Oil producers simply decided they would have been better off producing at a loss, considering the recent drop in Crude as “temporary”. Going on to the dynamics that apply more closely to the day-to-day price fluctuations that we, as traders, are so fond of, here are the main drivers to pay attention to, in order to understand how Crude moves. Remember, prices move because market participants shift their expectations for the underlying asset and these expectations are based on emerging fundamentals, not charts alone. Risk Appetite and Supply Side Shocks. As is the case for most growth-sensitive commodities, Crude oil is influenced by risk-appetite, over and above the prevailing balance of supply and demand. Investor sentiment is an exogenous catalyst, which can be equally influential for price action. The link is evident, and is illustrated in the following charts. 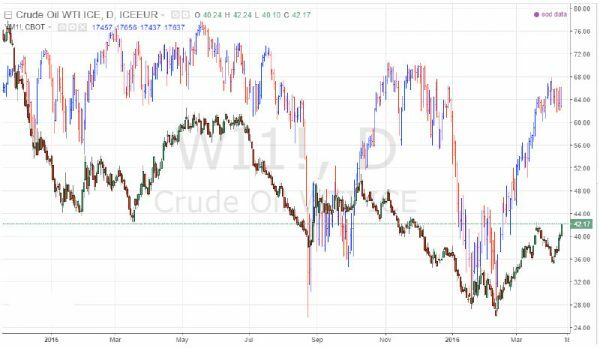 When general supply/demand dynamics are driving price, the correlation between EIA/API Inventories and Crude is evident. When Risk is the driver, the correlation between Crude, the VIX index and the DOW becomes more evident. 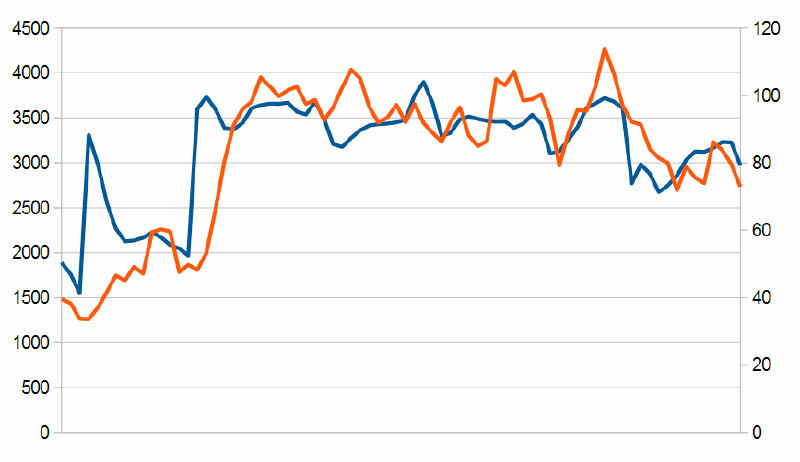 The EIA Crude Oil Stocks Change (which is issued every Wednesday) really is the most important data print. It’s a weekly measure of the change in the number of barrels in stock of crude oil and its derivates, and tends to generate large price volatility as oil prices impact worldwide economies. 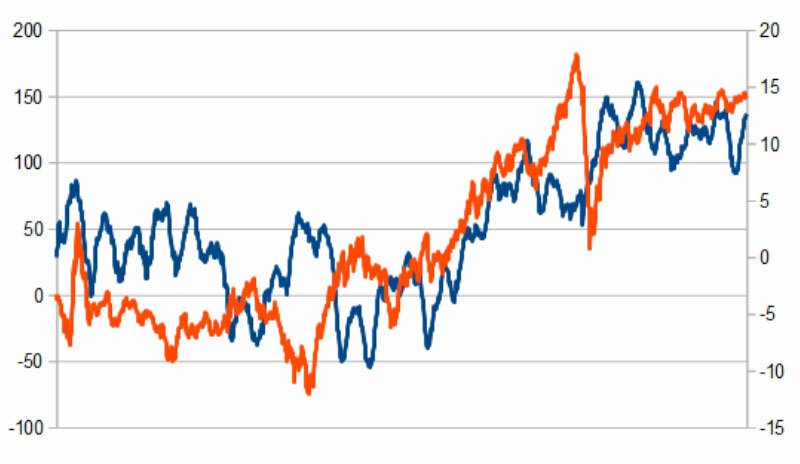 In FX, these dynamics can have an impact on commodity related currencies such as the Canadian dollar. Another crucial component of the EIA’s inventory data is the reading on the amount of oil stocks at the Cushing, Oklahoma delivery hub. Inventory levels at Cushing reflect the pace at which the U.S. oil supply is moving from inland production areas to end refining markets. An inventory build-up indicates that more oil is being supplied than can be transported away for refining. West Texas Intermediate (WTI) crude oil prices, the major North American benchmark, are set in Cushing. The API Weekly Crude Oil Stock (issued on Tuesday evenings) has become a little more popular recently, but is generally less followed than official EIA data. The American Petroleum Institute attempts to anticipate official EIA data and as such has validity. The Baker Hughes rig-count is something that has always had a certain correlation with Crude Oil prices, and yet only recently have market participants started to watch it more closely. Unfortunately, the data is issued on Friday evenings, when liquidity is poor and most market participants have already closed their books for the week. It can cause volatility however, and the effects can be carried into the following week. To sum up: having a good understanding of emerging fundamentals can help you create an effective context for interpreting price action. 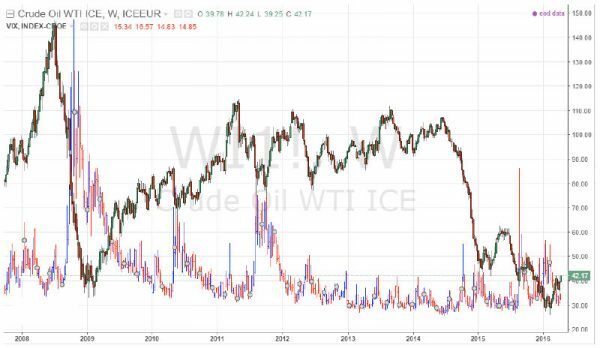 Crude Oil is an important source of diversification that forex traders can use. The most influential drivers for Crude are: Risk Appetite, US Dollar dynamics, the Department of Energy Weekly Statistics, the API statistics, and the Baker Hughes rig-count. Just remember not to trade purely off fundamentals. Always wait until the market shows you that your analysis is correct.